"Oh! But he was a tight-fisted hand at the grindstone, Scrooge! a squeezing, wrenching, grasping, scraping, clutching, covetous, old sinner! Hard and sharp as flint...."
A few weeks ago I was in a local downtown on a frenetic Friday afternoon, the first Friday of the holiday shopping season. After fifteen frustrating minutes of driving in circles, I finally spied a perfect parking spot. BOO-YAH! And it was right in front of my destination! I zipped my tiny subcompact Honda in just so, only to realize I had cut off a woman in a big huge SUV; she'd been waiting to park in the same space. I hadn't seen her. I stole her coveted place. She angrily backed her car up, really fast, to another spot. "She's probably ready to go all road rage on me," I thought, "maybe even turn around and plow right over my diminutive little car!" I imagined newspaper headlines, leads on the 11 o'clock news. LOCAL PASTOR ASSAULTED BY IRATE DRIVER! ANNOYING CLOWN CAR CRUSHED BY LAND YACHT! I exited my car to find her, only to see a seething visage behind a tightly closed window. She was not happy. I smiled. She lowered the barrier between us and before she could say anything, I apologized. "Oh boy, I am so sorry! I had no idea that you were waiting--I didn't see you...that was incredibly rude of me! SORRY!" Her scowl melted into a grin. She shrugged. We laughed. "Don't worry about it," she said. "No harm." That's what can happen when we humans soften our hearts instead of acting hard of heart. I could have easily walked away, even done a little parking space victory dance! It all depended upon whether or not I chose to be hard or soft in the moment. Cruel or kind. Unthinking or thoughtful. I'm no saint. I can be as quick and cutting as anyone else but lately, in seeing how hard our world has become, I want to be a softer person in 2018. Softer. Soft of heart. Quick to forgive and also accept responsibility when I am wrong. Less focused on winning; more focused on living well with others. Wiser in knowing when to just keep my mouth shut, zip it, when tempted to retort with a snarky comeback. It's sobering to realize how much more compassionate our collective life could be on earth if we were less like Scrooge and more like Santa. 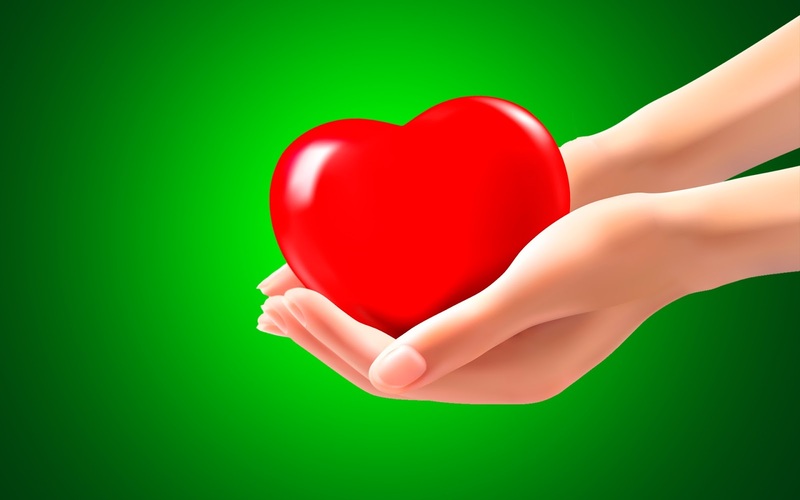 Live with an open heart, and not close our hearts: all to protect egos or gain the upper hand or get our backs up or be "right", comity and community be damned. To be soft. To be hard. How will we live in the new year? Because we are living in hard times. When our government swiftly passes a $1.5 trillion tax cut but can't find a place in its heart to fully fund the Children's Health Insurance Program, that provides health care for 9 million kids in the United States. Couldn't find disaster relief funds either, for Puerto Rico, Texas, California or Florida. Am I the only one who sees Scrooge in this hard hearted neglect? Hard times: as social media overflows with vitriol and vexation, political diatribes and partisan squabbling. That's life in cyberspace so often: hard. Mean. Sharp. Where kids get bullied and folks get shamed and the worst of humanity pops up on a newsfeed or is tweeted out by "adults" acting like petulant toddlers. I'm not quite sure how we got to be so hard in our world. Fear makes us hard. Fear of "the other", of rapid social change, of the future. Fear that there isn't "enough" for me--like a parking space. Leadership matters. Hard hearted leaders inspire hard hearted followers. Greatness trumps goodness. These days it can be hard not to be hard. But always, we choose. So here's a resolution for 2018: soften up. Soften your heart. Open your hands. Look for the best in others. Remember we are all in this life together and when we are soft with each other, the journey is always better. God knows we all need a little mercy, even when we steal a parking spot. Scrooge had a change of heart by the end of "A Christmas Carol". "[Scrooge] became as good a friend, as good a master, and as good a man, as the good old city knew, or any other good old city, town, or borough, in the good old world. His own heart laughed: and that was quite enough for him." May God bless us, everyone, in 2018: with soft hearts for a hard world. Iguana Wish You a Merry Christmas! Get it!? Out of the ever growing pile of Christmas and holiday cards I've received and collected thus far in December, the one with that painfully "punny" punch line, adorned with a photo of an iguana, sporting a bright red Santa hat, is my favorite. It came from two good friends who recently returned from their honeymoon in the Galapagos Islands, hence the reptilian greeting. As a Pastor, I get a lot of cards, have for many years, and its always my joy to sit down and see what seasonal salutations folks from my faith community and friends and family send. It's also fascinating to note the huge change in what those cards look like now, their messages and spirit, versus almost thirty years ago when I first began "doing" Christmas for a living. Culturally, a lot has changed since 1989, when it comes to how we celebrate holidays, or holy days, or both, or none, on the 25th day of the twelfth month of the year. So 28 years ago when George H.W. Bush was the President, the top new Christmas song was "This One's for the Kids" by New Kids on the Block from their "Funky Holiday" album. (Admit it--you bought it!) The overwhelming number of Christmas cards I received were religious: with angels and baby Jesus, three kings and Bible quotes. An occasional mimeographed Christmas letter showed up in that past pile too. Fast forward almost three decades and our current Commander in Chief actually boasted in a speech three weeks ago: "I told you we were going to start saying 'Merry Christmas!' again! ", a reference to one of his more curious campaign promises. (More on that soon.) The #1 holiday song today is Mariah Carey's "All I Want for Christmas", which I just heard for the 6,432nd time, and, well....Of the 40 cards I've received, just three are religious. Half say "Merry Christmas"; others "Happy Holidays" or "Seasons Greetings". But there are very few stables or stars in the sky or silent nights filled with a mother and child. The practice of institutional religion has declined in just one generation for many reasons: church scandals, folks' lifestyles, and technology, to name but a few factors. And yet according to some, including our Santa In Chief or Grinch in Chief (depending upon one's viewpoint) this dearth of overtly religious greeting cards is a reflection of America's "WAR ON CHRISTMAS!" 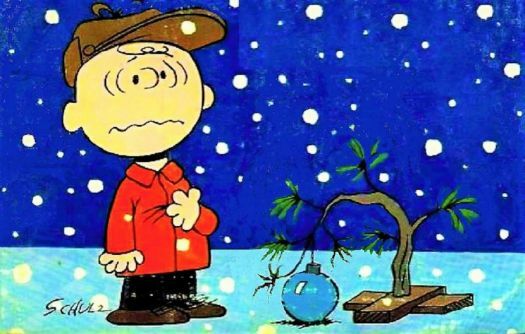 A certain cable news channel in particular (rhymes with "sox") promotes this story every year, decrying how terrible it is that no one can say "Merry Christmas" anymore or be overtly "Christmassy" because its not "politically correct", that in fact Christmas must be rescued from the clutches of our soulless secular world!! I'm sorry, but as a person of faith, I find this annual cultural debate as appealing as a stocking full of coal, an argument that's as fake as a $49.95 aluminum hued Christmas Tree from Wal-Mart. More than most folks, I am fully invested in the holy and religious aspects of this season, the sacred story of Christmas. I want folks to have a Merry Christmas. I pray and hope that the pews in the church I serve will be packed come the 24th. I love my Christmas story. And yet, I also know this. I live in a great nation where the practice or non-practice of religion is free and voluntary. No one is forcing anyone to say or not say "Merry Christmas"! There are no anti-Christmas police patrolling the streets, handing out citations for being of good cheer. Not now. Not ever. So I say go ahead if you want--have at it! Shout "Merry Christmas" from the rooftops. Send out a boatload of greeting cards too. String a thousand lights across your house and I will come by and enjoy the show! 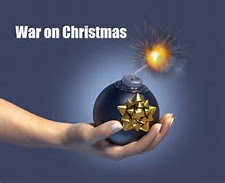 But I'd say do so remembering this: that there is no WAR ON CHRISTMAS. There is instead, a sad and predictable need on the part of far too many leaders and journalists, to make everything, even the holidays, into an argument in 2017: a debate, a fight, a feud, a war. The irony is that this "war" is being fought in the name of the prince of peace, one whose birth we in my tradition believe, heralds a great day, some future day, of "peace on earth and goodwill to all people." And if the ancient story that I so love is not your story, that's cool. Maybe you celebrate a different God story, like Hanukkah. Maybe for you Christmas is a great time to just reunite with family and friends, to rest and be rejuvenated after a long, long year, nothing more. Maybe the holidays are hard for you, because you are really missing a loved one, or you are sick or lonely, or worry that you won't be remembered in all the "Merry Christmases" being said. Maybe you are not so sure about this God stuff but as you look at the twinkling stars in a dark December night sky, you trust somehow that a power greater than yourself is holding it all together. Holidays. Holy days. December days. But a war? Not on my behalf. My prayer this year is simple: for just one silent night. May you and your loved ones find such peace this season too. To Gain the World But Lose Your Soul: What Will It Be? In the best of all worlds, as a citizen, if you were asked to vote for a person to represent you in the United States Senate, who had been accused by multiple women of sexually preying upon them as teenagers, you'd vote "No". In the best of all worlds, if you were a person of deep faith and a voter, you'd definitely reject that candidate, for clear and obvious moral reasons. 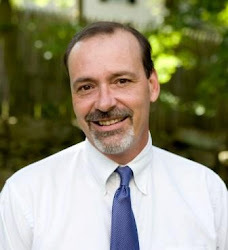 In the best of all worlds, that candidate wouldn't just be shunned by the voters but by his political allies too, from the top leader of the party on down, because who in good conscience could support the candidacy of such a person, even if to do so means one more vote for your side in the Senate. But we don't live in the best of all worlds in these strange days, and so this week there is a good chance that voters in Alabama will elect Roy Moore to a six year term to the United States Senate, one of the most powerful deliberative bodies in the free world. The race is tight and it still might go the other way and yet: it raises a much larger moral question, one as old as the ages, as human life itself. 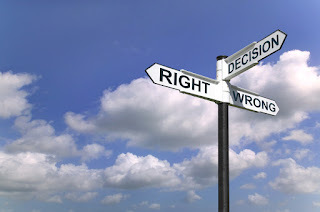 Just how far are we as humans willing to go to get what we want or desire in this life, regardless of the moral costs or implications, regardless of what our faith says is right or wrong, or what society declares is good or bad? Or as an ancient scripture writer says more poetically: what does it profit a person to gain the world but lose their soul in the process? To "win", but in winning, to give up or set aside any sense of morality, in order to secure a victory or achievement or goal or profit or power? It's a classic moral quandary, one each of us faces every single day from the youngest of ages. To cheat on a test and get an "A" or admit you didn't study and just take your well deserved "C"? To fudge the figures on your income taxes and save a few bucks or just buck it up and pay your legal and right fair share? To go back into the store when you realize the clerk gave you too much money in change, or just pocket the windfall and walk away? Countries and institutions face this moral test as well. What is more important: loyalty to partisan politics and party or a commitment to what is best for the country as a whole, the common good? In business: what is the bottom line? The people who work for a company or the profits that shareholders demand? In sports: does a team compete fairly and squarely on a level playing field or pop a few pills and secure the gold medals? In the best of all worlds, humans and those we depend upon for leadership: we will do the right thing, even, especially when the struggle for the soul is greatest. The right thing. The honorable thing. The good thing. The noble thing. The decent thing. We will follow the moral lessons we learned in the faith tradition we grew up in, or around the dinner table in the family we called home, or just listen to that still small moral voice from within. But we do not live in the best of all worlds. We live in a far too often morally ambiguous world, where unfettered freedom and moral responsibility constantly compete for our loyalty. And so day by day, year by year, we each face the choice: what are we willing to do, or not do, to "gain the world"? We make those decisions as citizens and neighbors, spouses and parents, folks who believe in God and those who do not, CEOs and workers, all of us. The collection of all those moral choices finally make us who we are: as individuals and communities and as a country. We are the sum of our moral decisions. What does it profit a person to gain the world but lose their soul? That is the question. IT'S THE MOST WONDERFUL TIME OF THE YEAR!!! Right? "It's the most wonderful time of the year! His name was Larry and he helped me run a church high school youth group many years ago. As a longtime recovering alcoholic, he knew the struggles teens faced. With good humor and real life experience, he witnessed with his one sober life about being grateful one day at a time, having faith, and humility. The kids so loved and respected him. IT'S CHRISTMAS! ISN'T IT WONDERFUL!!! IT'S THE BEST TIME OF THE YEAR! Until...well, the most wonderful time of the year maybe isn't so wonderful. If, like Larry, the holidays are tough to face, for whatever reason. December was hard for Larry because that was when he gave up drinking. With all the partying around him, he felt like the odd man out, a glass of ginger ale in hand. A single Dad, he also had to work as a tug boat captain on Christmas Eve, far away from his daughter. Yes, absolutely, the holidays can be and are wonderful. I am "Mr. Christmas" with the best of them! Joyfully hanging my oversized LED twinkling snowflakes and stars from the trees in my front yard. Drinking eggnog 'til my belly pops. Getting all teary eyed singing "Silent Night" in the candle-lit glow of a hushed church. Immersing myself in my faith tradition, awaiting a sacred birth. But yes, the holidays can be hard, too, for folks like Larry. Facing a first holiday without a loved one sitting at the Christmas dinner table. Or being in recovery and fighting the urge to drink or drug while all around you raise a glass. Sitting in prison or a nursing home alone, wondering if anyone remembers you. Being poor and watching as the culture buries itself in buying while you struggle to just feed and clothe your children. Holidays are happy. Holidays are hard. Those are the contradictory truths our culture doesn't much like to think about in these days leading up to the 25th and the week after. Holidays are a mixed gift. So intense. So packed into so short a time. This month intensifies our feelings and emotions and memories, for good, for ill, but always for sure. So my spiritual advice is this: whether you are flying high into the holidays or stumbling low, do for others this month. Reach out. Make your holidays into holy days. I've learned that whatever my life situation, when I share some love, when I get out of myself and help someone else, I always "lighten" up. Feel better. Have hope, even when it is dark. The holiday gift is that opportunities for service to others abound in December. Return to your own faith community: guaranteed they've got a holiday job for you! Connect or reconnect with the "Larrys" in your life, folks often forgotten this time of year. Invite a stranger to your holiday table. Go non-alcoholic at your open house to make it comfortable for every guest. Reconcile with someone you need to forgive or one whose forgiveness you need. Visit someone in prison. Take that year end bonus and give it all away to charity. And Larry? On a December 24th evening long ago, he opened a wrapped gift, tucked away in his tug boat. The kids and I gave it to him, making him promise not to unwrap the box until that silent night. Within it was a new warm wool sweater and a card signed by every member of the youth group. "WE LOVE YOU LARRY! MERRY CHRISTMAS!! ", it read. The most wonderful time of the year...may we make it so.